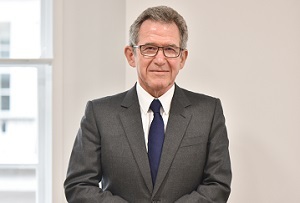 YOU LIVE & YOU LEARN: Lord Browne of Madingley, former CEO of BP, on being outed, resigning and why being a leader makes you public property. I started my life on ships and planes. My father was a British Army officer who later worked for Anglo-Persian Oil [now BP] so we were constantly travelling. After much resistance from my mother, who thought the idea of boarding school was primitive, I was sent to study at King’s Ely in Cambridgeshire. I couldn’t stand it. I hated the regimentation and I was teased. I studied physics at Cambridge and considered staying on to do academic research. But my father, a very practical man, told me I had to get a ‘real’ job. I joined BP as a university apprentice in 1966 and learned my trade as a petroleum engineer in Alaska’s frozen tundra. The ‘Sun King’ title came about in 2002. The FT published a photo of me standing in front of BP’s new Helios logo with the caption: ‘Sun King of the oil industry’. That name stuck. I never acknowledged it but I was always amused by it. My career high was the mega-merger with Amoco in 1998, creating Britain's biggest company. I remember the announcement at the Honourable Artillery Company headquarters in London. It was a sweltering day. If you look closely at the photos of me with Larry Fuller [Amoco’s then CEO and chairman], you’ll see we were melting with perspiration. My worst moment was the explosion at BP’s Texas City refinery; 15 people were killed and many more were injured. Everyone was crying and a body was recovered while I was there. It was terrible. At the press conference that day, I accepted full responsibility. My lawyers warned me not to,­ but I didn’t listen. We were to blame. At one stage, I had three places to live: a flat in London; a house in Cambridge on the Madingley Road, from which I get my title; and an apartment in Venice. That was my biggest extravagance. I didn’t have to cart luggage around. I still believe I did the right thing by resigning from BP. I didn’t discuss it with anyone and I didn’t give anyone a choice. I’d lied on court paper [about how he’d met his then-partner Jeff Chevalier] and I’d been outed by the Mail on Sunday. I knew there’d be a furore and I knew I had to leave. When I launched my book, The Glass Closet, at the Hay Festival, a man in the audience stood up and said, ‘John, we all knew you were gay. But there was no one brave enough to tell you.’ I’d been living in my own bubble. I was a big cigar smoker; I’d smoke five Cohiba Robustos a day. Most people give up smoking when their first child arrives – a monumental moment in their lives. I gave up a month after I was outed. There’s only one openly gay CEO in the Fortune 500, and that’s Tim Cook of Apple. Statistically, that’s kind of odd, isn’t it? There has to be more. I concealed my sexual orientation for four decades in the oil industry. I thought, ‘It’s my private life. It’s no one else’s business.’ But I realise now that, when you’re a leader, you don’t have a private life, you’re public property. If you say it’s OK to be different, you’ll give people the confidence to be themselves. The fundamental point of leadership is inclusion. Connect: How Companies Succeed by Engaging Radically with Society by John Browne with Robin Nuttall and Tommy Stadlen is published by WH Allen at £9.99.